Posted By:Unknown | At:8:13 PM Be the first to comment! Washington (CNN) – Washington, D.C., Mayor Vincent Gray was among those arrested Monday while protesting outside the Capitol, according to Gray spokeswoman Linda Wharton-Boyd. The U.S. Capitol Police arrested 41 people outside the Hart Senate Office Building, charging them with unlawful assembly, according to Sgt. Kimberly Schneider. They are currently being processed near Capitol Hill. Gray and other city council members joined protesters asking for freedom to spend District money. The budget deal Congress passed over the weekend bans the District from spending its money to provide abortions for low-income women. In a tweet Monday, Gray said, "I am calling on all residents of DC to join us NOW at the Hart Senate Office Building to stand for our freedom!" Later Monday he tweeted, "Getting arrested on the Hill for DC autonomy @DCVote." The abortion rider also included money to restart the city's school voucher program, which was previously cut. 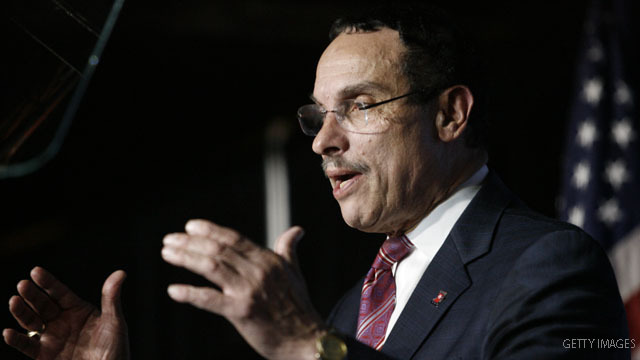 Categories: Vincent Gray, Washington D.C.